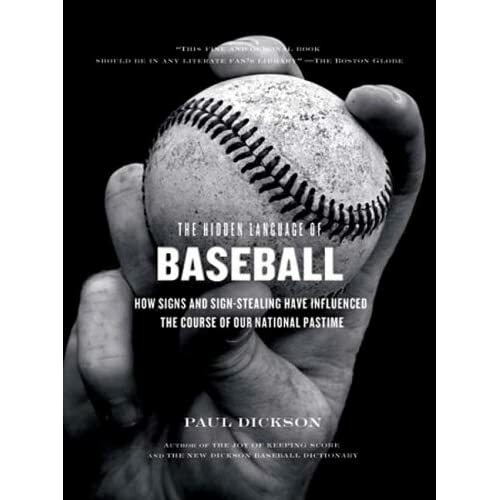 Whenever I reread Paul Dickson's The Hidden Language of Baseball, I am struck by the many layers of the game of baseball, the hidden, inner, and scientific aspects of the game, that most fans are completely unaware of, that are comparable to the hidden, and inner aspects of markets that most of us sense but take account of not nearly enough in our play. I'll try to remedy that in part with some numbers relating to these hidden signals. Let's start with the fact (all factoids in the hidden language of baseball are taken from Dickson) that in a typical baseball game thousands of signals are exchanged, from catcher to pitcher, catcher to fielder, coaches to baserunners, managers to coaches, and umpire to umpire (in the event that they need backup from an unruly player). Like signals in other fields, the repertoire of signals must be informative enough to cover all situations, but simple enough to understand. Also, they must be hidden from the opposing team that is attempting to steal your signals. Signaling in baseball emerged from Civil War origins, from the use of signaling in war to describe the enemy positions and movements. Signaling in war reached a temporary plateau in 1855 when the British Board of Trade developed a set of 18 flags that could display 70,000 visual signals. In the Patrick O'Brian series, Jack Aubrey is a master of using these flags to deceive the enemy as to his nationality, his destination, and his intentions. He is also adept at stealing enemy signal books so that he can engage the enemy without forewarning. Deception in the use of signs is key. The typical third base coach uses a set of decoys to hide his signs, an indicator sign to tell the recipient when the signs begin for real, and hot signs like the movement of a cap that are actually the ones to follow. At the same time, many other players and coaches are pretending to signal so that the opposing side can't tell who's signaling. The signals often change with the positions of the opposing team on base, the score, the player who is receiving them, as well as the stage of the game. "Sometimes is looks like five guys trying to bring a jet onto an aircraft carrier. Some are signs. Some are decoys, and its fascinating to sit there and watch the stuff flying all over the place." A constant problem in signaling in baseball and markets is the case of the traded player. The Phillies and the Pirates in the 1890s had developed telegraphs with hidden wires under the ground to communicate, as well as telescopes and hidden slots in the scoreboard to signal against opposing teams. But when one of their own was traded, they both agreed that at least against the other team, they would use the signals, and the players involved in the transmission were prominently seated on the bench as hostages. The analogy to what happens when one of the major brokerages develops an elaborate system of signaling what their recommendations or positioning or latest word from the Federals or the Centrals is, and how they can keep this set of signals secret when one of their own retires or leaves the firm, is clear. I have always felt that the idea that there is a plunge protection team is invalid because the traded retired officials when they enter the revolving door into Wall Street or write their book would spill the beans. The baseball players have so many signals and they are changing them so often that that they are able to overcome this problem or as above, the quid prop quo, not to steal from each other, but how is this handled on Wall Street? One protection of course is the ethical and legal storm that would be realized when the information was divulged. I have previously tried to shed some light on this subject by looking at the hidden signals of markets. Is there a movement in one market in one time, that is the key to what's going to happen. Is it volume that tells the story, or the lead of some Central Bank like New Zealand or Malaysia that flashes the hot signal. I have always believe that the movements of Israel have predetermined what's going to happen in the US. However, the time differential, and the necessities of taking account of the Fischer effect, (delayed pricing, etc. ), would make a study of that network, path, or feedback system, a complex undertaking. The best that I was able to get after a preliminary study of that subject was a response from an erudite reader as to the likely explanation ("They read our mail"). Similarly I have felt that the open to close in the Nikkei predicts the movements in the US open to close, but a careful regression analysis of the subject over the past several years, finds that the amount of variation explained is very small. All this signaling must be differentiated from the forward looking purpose of all markets, where they are trying to move prices over time . Also, the function of markets, the bond and stock vigilantes in foretelling to the authorities what the likely outcome of any attempts to get off the straight and narrow, or neglect the unintended consequences of their actions. Witness for example, the recent action of the stock market after FOMC meetings where it was unhappy with the vigilance of the Fed's awareness of the housing crisis, or the reaction of the bond market in the last two days, down a few points, to the illusory price controls on mortgage rates. I decided to study the subject directly. Why not take the major economic announcements and see to what extent the news was leaked in the preceding half-hour. Of course, most announcements have a mere disruptive effect on the market participants, unleashing the weak from their positions so that the strong can take them over, as well they should since there are so many seasonal adjustments, and ephemeral, already discounted, and unique factors in each announcement that it couldn't possibly have anything to do with the price of eggs. But there generally is a reaction, and if one knew one or two of these reactions for sure, it would be fat city.
.                       Market moves before and after major announcements. Since the standard deviation of the moves in the subsequent hour is of the order of 7 points, about 1/2 %, theses moves of less than 1 point, hardly the bid asked spread, in all cases less than 1 standard error away from expectation indicate that there is no systematic tendency for the signals of major economic announcements to be acted upon in a systematic and market altering impact before and after the announcement. This is a preliminary study with many gaps, but it captures the gist of a fruitful line of inquiry, I believe, and I'd be interested in your augmentative ideas. Baseball has sometimes been described as an individual sport and not a team sport. Certainly the batter stands at the plate all alone. Sometimes he is the hero with a single swing of the bat. Sometimes he is the goat, bested by a final deceptive pitch. However the idea that baseball is an individual sport is a misperception that ignores the large number of subtle signals that are communicated back and forth to allow the team to act in a coordinated fashion. For example the batter looks down the line to the third base coach before every pitch. If there is no one on the third base coach usually will only give a 'take' signal or 'swing away' sign. Often a team will employ a conscious strategy to take the first few pitches until one of them is a strike. Sometimes this is motivated by an effort to tire out the starting pitcher. This strategy is more often employed if the starter is a particularly strong pitcher or if the bull pen is known to be weak. Statistically speaking it is well known that a batter has a higher probability of getting a hit on later pitches than if he swings at the first one. Thus a take strategy forces the batter to see more pitches. He can get a better idea of the pitcher's release point, fastball speed and ball movement. It all starts with a simple take sign. Most people are aware that the catcher and pitcher have signs. But few realize that at higher levels of baseball these signs are passed on to the fielders as well. Depending on the situation the pitcher may want to throw a pitch that increases the chances of a double play or a fly ball. If a runner is on first base with less than 2 outs, the pitcher would very much like a hard hit ground ball to the left side of the infield. He needs the grounder to be hard hit because it will get to his fielder faster saving valuable split seconds. The fractions of a second saved can make the difference between a double play and only one out. One of the best pitches for this is a sinker or two seam fastball. The science behind this is that if the pitcher throws the ball along the axis where the ball has two seams it will create less rotational drag. The other way to throw a fastball is along the four seam axis where four seams are rotated at the face of the ball. One can see this by looking at the seams on a baseball or even a tennis ball which has the same seam pattern. The four seam ball will tend to rise (relatively) because of the added rotational 'lift' from the increased seam surface. In contrast the two seam fastball will seem to sink. If thrown low in the strike zone the two seam fastball is an excellent double play ball. This information is usually communicated to the fielders so they can position themselves for the hoped for double play ball. To be sure the pitcher is throwing at a significant downward angle from a mound which is one to two feet high. Most pitchers release the ball from a raised arm. If the ball is targeted for low in the strike zone it must drop about 6 or 7 feet over the distance of about 60 feet. During that time gravity is also at work. Therefore we can safely say that pitches arrive at the plate at a significant downward angle. But the rising four seam fastball does get some lift from the spin. This lift causes it to veer upward from its projected downward path. But in the end a rising fastball is still traveling at a downward angle. In particular the second baseman and short stop will have their own secondary communication regarding who will cover second base in the event of a steal. If they anticipate a ball to be hit to the left side of the infield (toward the shortstop) then the second baseman will cover and the short stop will back up the play. Factors they consider are whether the batter is a lefty or righty, whether the pitch is fast or slow and whether the pitch will be on the inside or outside of the strike zone. Another use of signals is when the pitcher is throwing a 'soft' pitch. This could be a curve or a change up. In either case the batter would be expected to swing a bit early on the pitch. If he is right handed he will tend to hit more toward left field than usual. The fielders are signaled in advance that this pitch is coming. However they do not physically move in that direction before the pitch, so as not to tip off the opposing team. Instead outfielders use the information to decide which foot to use on their initial drop step as the batter swings. In markets there are often deceptive rallies and declines just before a pending news announcement. One pattern is that there may be a sudden disruptive move just before the release of a Fed announcement. The idea is to create the impression that someone leaked the decision just at the last minute before the announcement. 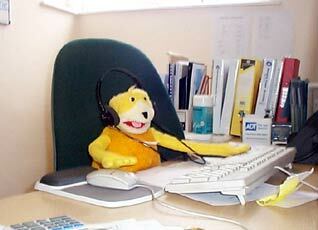 Usually this can only be effected by a large trading desk that can act in concert within a few minutes. When they start the move by say, buying in unison, a few minutes later naive traders pile on thinking they have picked off another trading team's signals. Meanwhile the original trading desk dumps their stock for a quick profit at the expense of the traders who have fallen for the decoy signals. When you state there is no systematic tendency for the signals of major economic announcements to be acted upon in a market-altering, impactful way before and after the announcement, I thought: why should there be? You chose the specific indicators, so I ask: why would the market show a monolithic response to this particular set? The market is the sum of its parts. Why wouldn't any signal from this class chosen apply to only a class of trade specialists or range of products which are dependent upon the gross participation of speculators? Whereas, stock specific news is routinely faded, which should be characterized as entirely systemic.